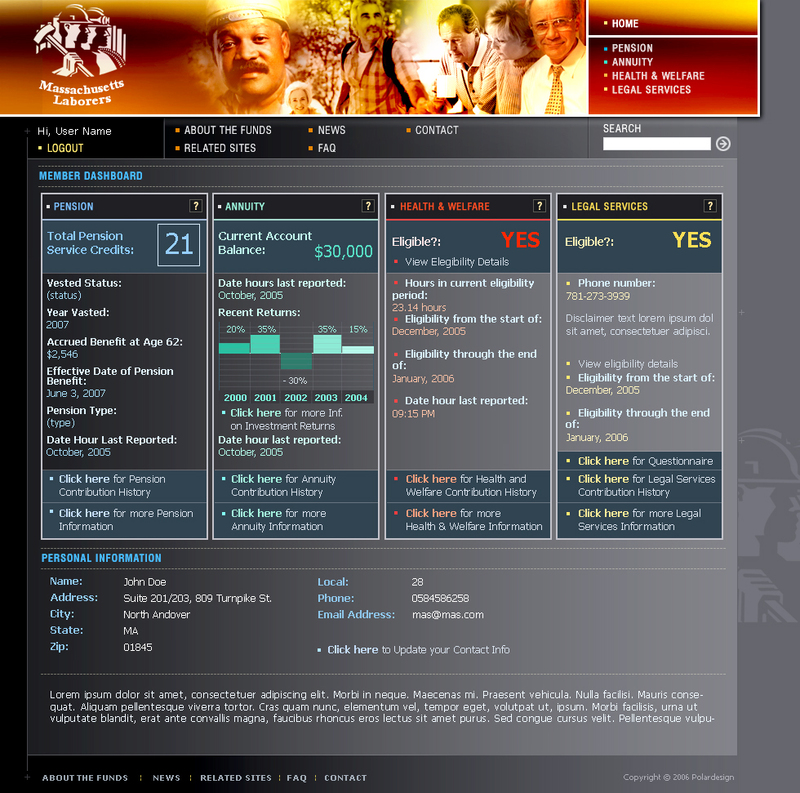 Polar Design developed a public and secure member-only web site for the Massachusetts Laborers Benefit Funds that offers fund participants quick access to their most important benefits information, from healthcare eligibility and claims to accrued pension and annuity account balances. This benefit portal is easy to use and features informative user interfaces such as dashboards and animated charts that explain complex benefits information to participants. Fund administrators and employees are also able to access information about individual members personalized to their needs and filtered to ensure HIPAA compliance. Built upon a Polar Design’s rapid application development framework, the site can accommodate this highly attractive interface in spite of challenging integration and security requirement. The site utilizes a modern relational database that connects with a legacy AS/400 system and utilizes a number of proprietary methods to securely store data. The framework allowed Polar to build this complex site in less time and with fewer bugs as compared to custom development. The website’s ability to address most of participants benefits questions 24 hours per day, online, has helped reduce call center traffic and certain support costs and increased member awareness and satisfaction.